The Experimental Group expansion continues at an impressive clip with their sixth local opening. 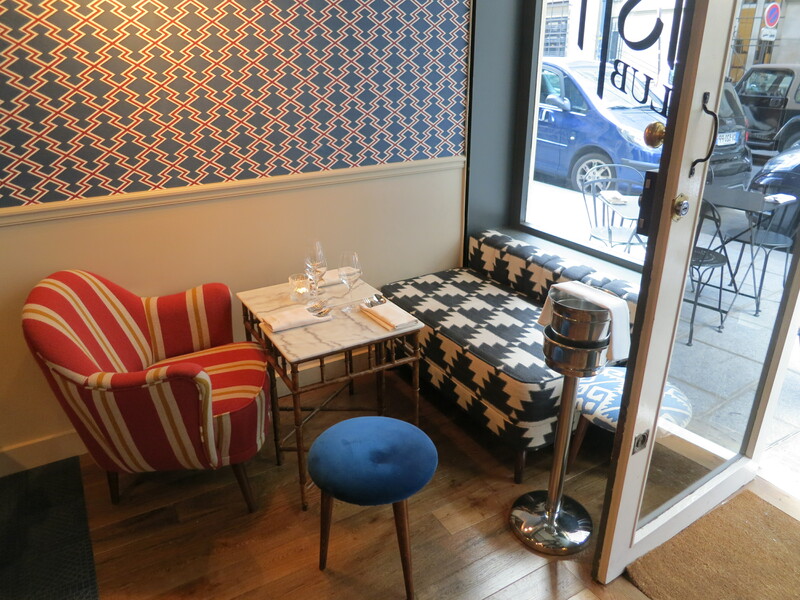 Just next door to their already established Beef Club, the Fish Club brings Peruvian inspired drinking and dining to Paris. Recently, Catherine and I stopped in to taste test and talk cocktails. Designed by Dorothee Meilichzon, this venture is a change from their usual cocktail spots with a lighter and brighter décor similar to their Compagnie des Vins Surnaturals (also designed by Meilichzon). Crisp black and white tiles, bold colors and graphics and plenty of natural light give it a vibrant and cheerful feel. The menu also diverges from the usual fare towards something more bright, fun and casual. With its South American asspirations, the menu focuses on Pisco based drinks and when we stopped in there was a selection of three cocktails at 12 Euros plus a mini Pisco Sour for 6 Euros. Between us, we tried all three, which were well made. 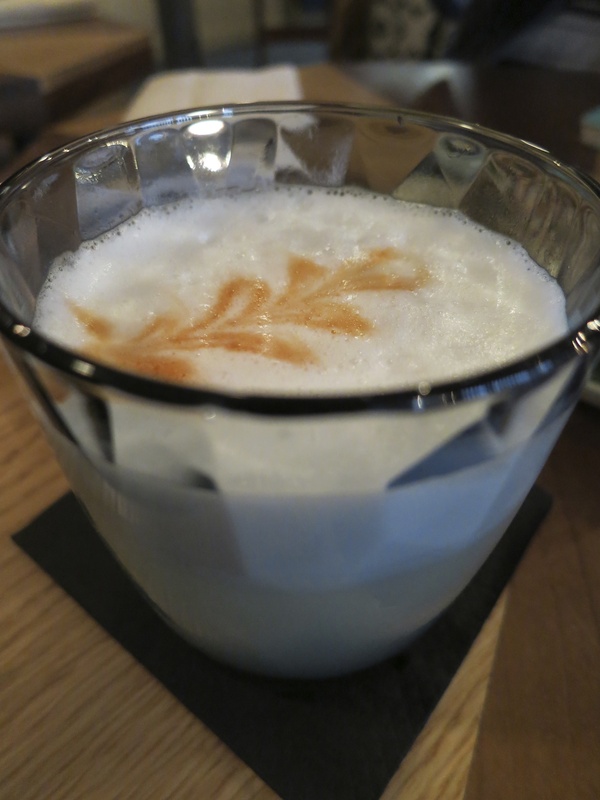 Given the culinary leanings of the place, there is no surprise to find Pisco based drinks. However, there are a few things of note here. The group is sticking with their quality policy and using the artisanal Pisco Waqar. Considering the short list of drinks, they are also incorporating ingredients that are more unusual (Dandelion and Burdock) or more bitter than usual for the Parisian drinking population (Punt E Mes) – which is a nice surprise. And, beer drinkers will also enjoy some unusual beer choices like Agent Provocateur or Page 24. The food menu features seafood-based plates like tiraditos, crab cakes or oysters. The Jose Pena sardines dripping in oil make a lovely little snack contrast to the bright and citric side of a pisco sour. The tiny sidewalk terrace will serve well in summer months that pair so nicely with this kind of lighter fare. The Fish Club is the latest example of this team’s adeptness at picking up on pertinent trends, adding their French touch and creating popular venues. This knack has allowed them to go from shoestring start up to international brand name in short order. Staff are friendly and it’s more laid back restaurant than cocktail lounge. Its relaxed nature will appeal to a more diverse crowd than its club-like subterranean bar the Ballroom. 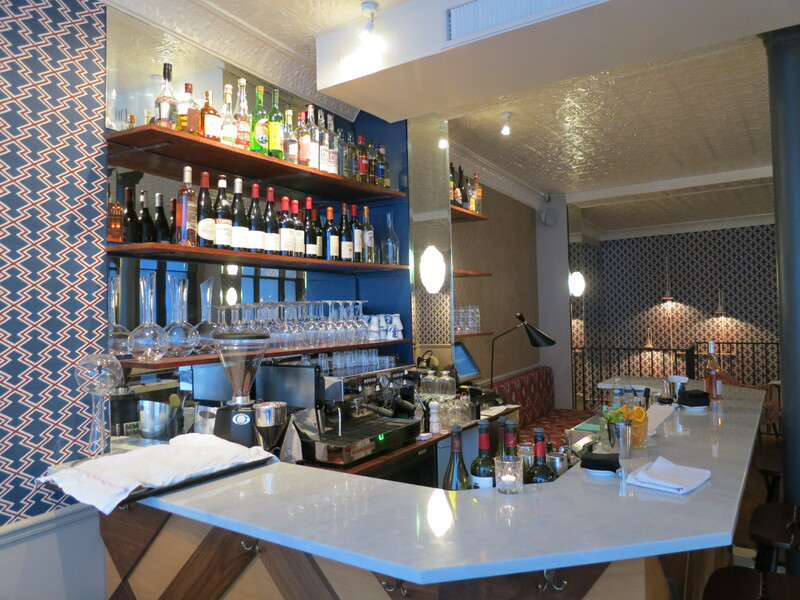 Overall, it’s an on trend spot to sample some good South American inspired offerings. Yes, Phil, they do! I didn’t try it so I can’t comment on it, but my guess is it’s good. Nice to see that blog “has come to life again”. Hope the quiet months wasn’t due to anything bad. It is important to keep experimenting and innovating since the future in store has much more things to offer. Considering how much LAMP, might be a real challenge. to your Solaris server’s IP address. Another step is to be careful about the apps yoou download.